Renters will be wanted purely for their ability to work the 'farms and fields' by mining and ratting and I can already see fleets of mining bots being used to claim sovereignty. But I like the idea behind PP. Balancing between pve (nonstop) and pvp (more incidental) would be a challenge. Sounds good starting point for the sov warfare overhaul. I agree that sov holding should be continuum. But also I think borders should not be strictly between systems. The continuums could be instead for each planet (moons would go with the planets they are circling) so that even in each system there would be lot to do and one system could have multiple simultaneous owners. I believe your graph is not the best one to illustrate the issue Trebor. 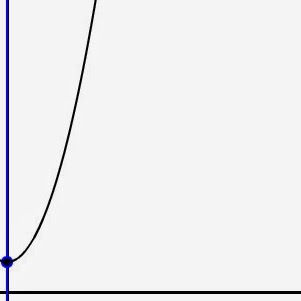 Use a graph showing how speed asymptotically approaches light speed as a ship accelerates, but never reaches it because mass grows exponentially thus preventing ever reaching light speed. That would be a better analogy IMO. I thought that whole "nerf force projection" was a topic of CSM 4 or 5. And it was this "threat" which galvanized the prime Null alliances to their concerted interest in the CSM since. Based on that - Trebor, do you really think they will allow you to kerb what is clearly an over effective defense/offence process? "Sovereignty is determined on a constellation-wide basis" don't you think this will make the chances of a smaller independent corp/alliance less likely to hold sov? I like a lot of your ideas, but I believe a more vibrant null sec (and therefore, successful game) could be attained if the current coalition meta was nerfed in some way. I like the direction of this, but why not take the analysis one step further: what are the specific in-game mechanical benefits that sov provides, and is there some way we can instead replace each of these with in-game anchorable structures that can be destroyed or compromised? Maybe make a new type of deep-space pocket where these things must be anchored to keep them away from POSes. Have them require fuel, participation points, or some combination thereof. Going the PP route, and making the PPs non-transferable, would mean a well-occupied system would be vibrant and bustling, whereas an unused system would be a wasteland ripe for the plucking; or if a "renter" were moved in, the system would de-facto belong to the renter rather than the rentee. A large entity could still exert a large sphere of influence, but the political map would instead show a cloud of smaller fiefdoms. Dude, you need to post more. Your ideas are worth sharing. Instead of another "aggression timer" I think a better solution is to lengthen the cooldown of cyno to 30 - 60 minutes. To keep capitals from being sitting ducks, capital-sized micro jump drives can be used defensively (but at a cost of dps or tank). Idunno, I barely play eve anymore but I like your ideas. Oh by the way, one thing I never quite understood. If there are around 5,431 systems in EVE, why not spend $5-$10mil and give each system a medium-speed server? I'm sure they could easily run each system with a $500-$1000 older model server. Systems that see more traffic would get better servers, and everything can be upgraded as technology improves.